I currently live in a 3 story townhouse and the DockATot has been such a lifesaver for us. 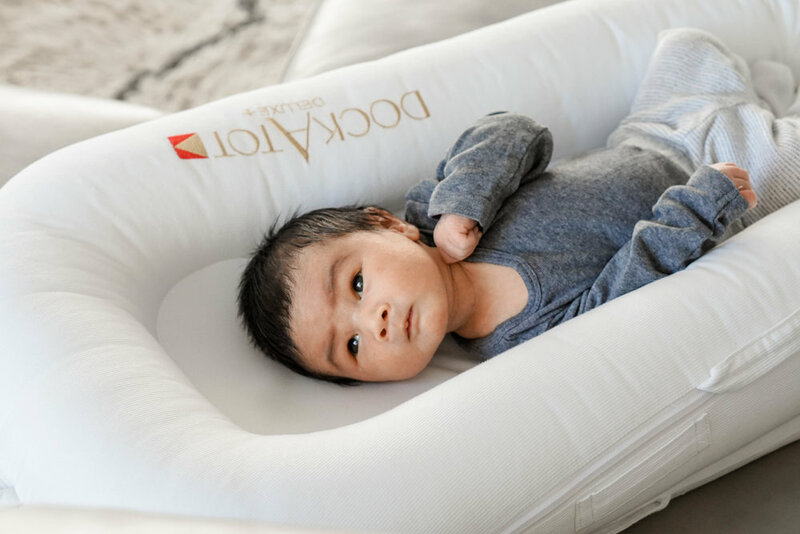 I received the DockATot Deluxe+ in Pristine White (for babies 0-8 months) complimentary from the brand to review and I honestly love using it. First off, this multi-functional lounger and co-sleeper has been tested for breathability, is OEKO-TEX certified, all natural, 100% cotton, designed in Sweden and handmade in Europe. We personally have a basinet in our bedroom for our little one to sleep in at night but during the day I love how easy I can transport the DockATot from upstairs to downstairs so baby can rest and nap comfortably. He’s able to nap 2-3 hours at a time in it so I know he loves it too! We did test it as a co-sleeper for one night but decided we like using it as a lounger in our home much more. I’ve also used it many times on our bed during the day for napping but at night with 2 adults and one baby (and our cat), the bed gets a bit crowded. I do leave it on our bed during the day quite often, so our first son likes to come by and say hello to baby! Quite frankly I think he’s a bit jealous of the Dockatot situation baby has going on (and actually he could fit into the Dockatot Grand size which is for 9-36 months!) But I definitely think the way the Dockatot is designed helps babies feel secure and at ease while sleeping. They love the feeling of being all bundled up! Besides sleeping, I look forward to also using the DockATot as a safe spot to do tummy time, play with high contrast toys and get diaper changes. Baby is only 2 weeks old right now so his main job is just sleeping but I can see the DockATot’s functionality changing with baby’s age. Hands down, the best part about the Dockatots is how lightweight and portable it is. I’ve used it in basically in every single room in our house. We have a very large and heavy pack and play for our first son which can be such a pain to set up and fly with. This is going to be a game changer for when we travel! The case is pretty easy to unzip and remove but definitely requires a little bit more effort to get back on. I was also sent the mobile Toy Arch and Cheeky Chums Toy Set which attaches super easily onto the sides of the DockATot. I love these kind of sensory high-contrast toys for babies. It helps stimulate their imagination and improve their fine motor skills as they practice reaching for the toys. 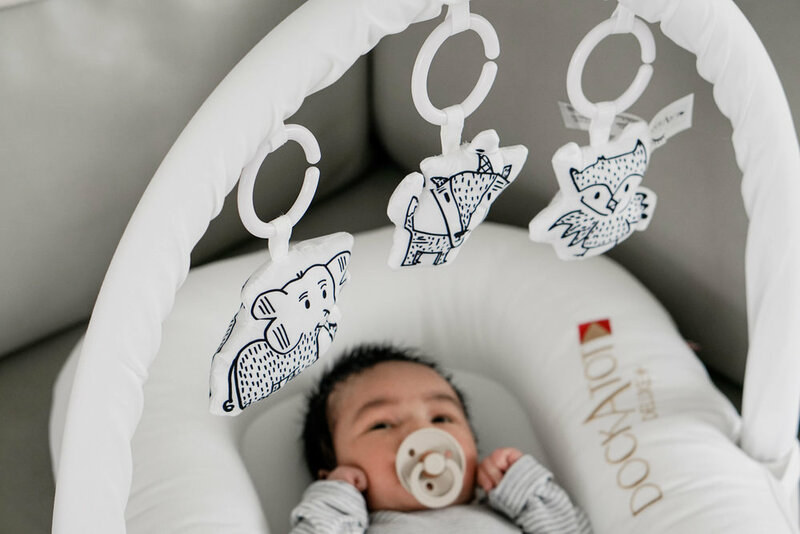 Overall, I’m a huge fan of the DockATot. I use it every single day and it really puts my mind at peace knowing my baby is in a safe and comfortable spot.